Tech’s indoor track and field team has been breaking career best after career best this month. Looking to move up in the national rankings, Tech brought its best athletes to South Bend. 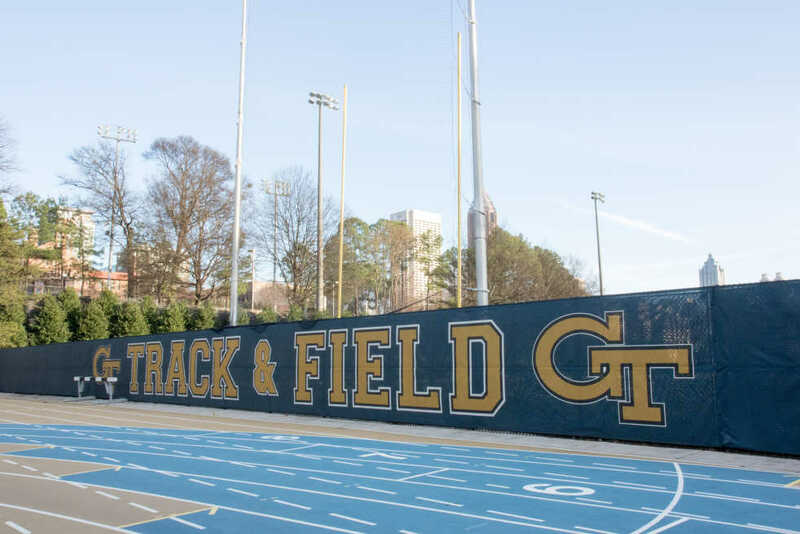 The Jackets entered the championship with 10 athletes ranked in the top 10 of their events. Earning 11th and sixth places in the men’s and women’s relays on the first day, a solid but unspectacular start, left the women 14th and the men ninth when the day closed. The team rebounded on day two of the ACC Championships: more than 10 athletes broke personal records on the second day of competition. Junior William Solomon finished in second place with a career best 7.60-meter-long jump and ended the day as a member of the All-ACC First Team. Junior Ksenia Novikova also received All-ACC First Team honors after surpassing her previous career best pole vault with a 4.06-meter vault. Freshmen Benjamin Jean and Tyson Spears ended the second day of their ACC Championship debuts with career best performances. Jean advanced to the finals in the 400-meter with a personal record of 42.27 seconds, and Spears posted career bests in the 60-meter and 200-meter preliminaries. Both the women’s and men’s teams ended the second day of the championship in 11th place. Five Tech athletes received All-ACC honors on the final day of the championship. Junior Preston Smith posted a career best 15.11-meter triple jump that earned him eighth place. After posting a career best time in the 400-meter, Jean ran a 47.18-second 400-meter race. The fraction of a second that Jean took off his day two 400-meter time earned him sixth place and earned All-ACC Second Team honors. women’s race. Earning themselves fourth place and sixth place, respectively, in the 800-meter, sophomore Avery Bartlett and senior Andres Littig were also named to the All-ACC Second Team on the third day. Tech ended the third and final day of championship competition after many career-best events. The women left the ACC Championships ranked 13th, three spots lower than last year. The men shaved off three spots from their 2016 championship record to end the 2017 ACC Championships ranked 10th. The focus for Tech now shifts to the outdoor season. In May, the team will host the ACC Outdoor Track and Field Championships for the fourth time in Institute history, an opportunity to once again welcome top performers from across the conference.